Scouting with your son, being the parent of a Scout and a Scouter at the same time, can be one of the most enriching and memorable times you’ll spend together. Naturally there will be some difficult times but we can avoid letting them derail the experiences for ourselves and our sons if we prepare for them. 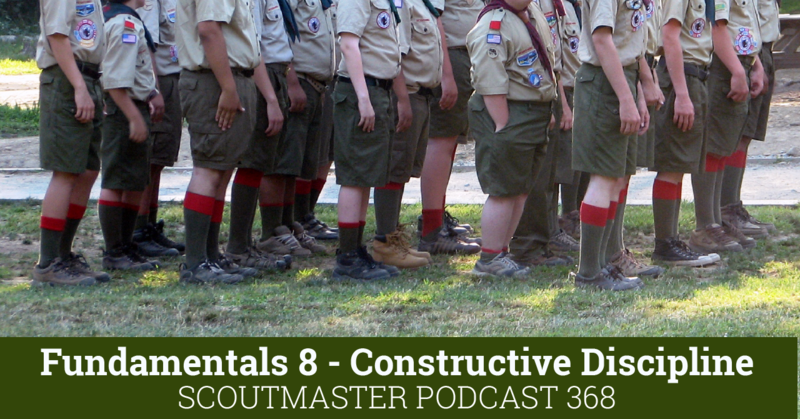 Characteristics that make a good parent and a good Scouter are similar but we are not going to impose the same expectations or authority we have for our own children on our Scouts. Parents are likely to be more demanding, more critical and more emotional when they deal with their own child. Separating the parental expectations for your son from your Scouting expectations you have for him as a Scout is tricky. You are going to do and say things as a Scouter that make your son proud, but you’ll probably say and do some things that make him cringe. He will, no doubt, return the favor. Somewhere along the way this is probably going to create some tension. 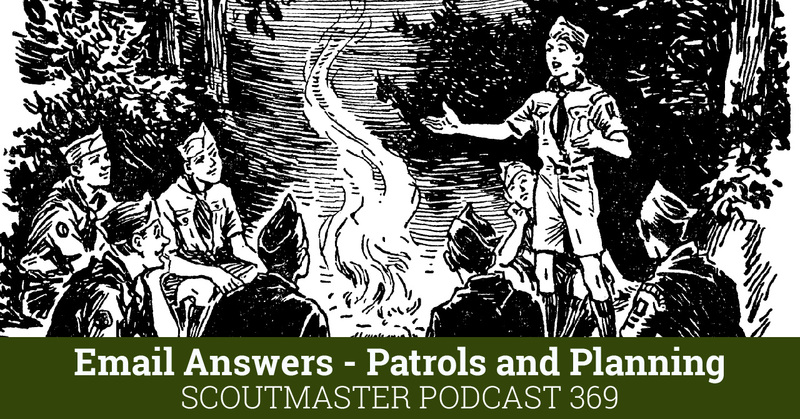 Your son’s reasons for being a Scout are different from your reasons for being a Scouter. Sure, you want to spend time with your son but, as we’d expect, he’s probably more interested in spending time with his friends. Parents and children have ‘inside information’ on each other. They know what goes on at home, school and work; they know each other’s history, strengths and weaknesses. Inside information is going skew your judgment and objectivity. I think we need to accept that we all have “blind spots” when it comes to our own children. Having a trusted fellow Scouter help you watch for blind spots and lend some objectivity to this complex relationship can make things a great deal easier for you and your son. Of course you can return the favor and watch for their blind spots too. Son wanders over to dad or mom and asks for something (a cup or a spoon or something like that) and mom or dad runs off to get it for them. If a Scout approached a Scouter with the same request what would we do? We’d probably tell them that Scouts are expected to bring their own cup or spoon and ask why they would expect us to have one for them. Son doesn’t like the food his patrol prepared and tells mom or dad and mom or dad shares their food with them. What would a Scouter tell a Scout in the same situation? We should discuss this well ahead of time with our sons and explain that they need to accept the same responsibility for preparing and packing as any other Scout would; that he’ll be eating what his patrol brings, not what we bring, that we’ll be there as a Scouter and he’ll be there as a Scout. If he finds that he’s forgotten something he’ll speak with his patrol leader about the problem. 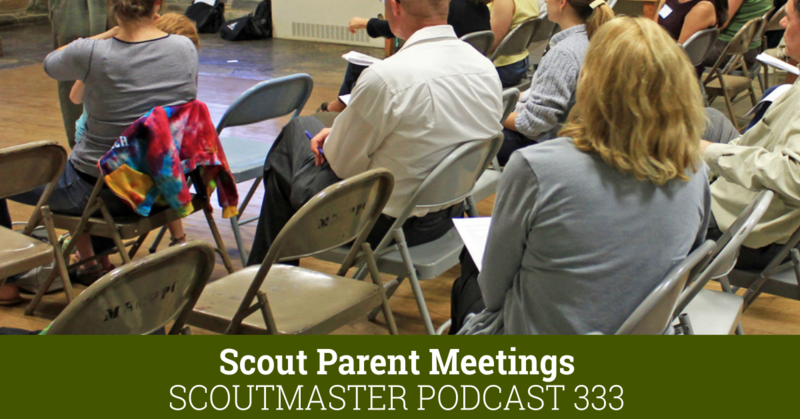 You may want to arrange for some specific time within a Scouting activity where you switch from the Scouter and Scout roles to the parent and son for a while. Maybe this is a few minutes before bedtime or just after a meal. You can both walk away from the group for a bit, address any concerns and share your thoughts with one another, then go back to the Scouter, Scout role. Discuss this idea with the other parent/Scouters and see what you come up with. There will be times, especially with younger Scouts, when they need some consolation or help that only a parent can offer. When those times come it’s a good idea to step out of the Scouter/Scout role, step away from the group and resolve the issue. What we do as parents effects only our children, what we do as Scouters effects other people’s children. If we understand the difference and prepare our sons and ourselves to observe the boundary between the two we’ll enjoy Scouting together and better help all of our Scouts do the same. As a scout leader with my son we went on a river raft race, where the scout built a raft out of Bamboo, Ropes, and tubes and went down the river. Well I purposely avoided going down with them on the safety boat. Instead I elected to stay at camp and prep for dinner when they all returned. Well my Son at that point, being skittish around water, elected to go down the river when they launched instead of at last minute chickening out and staying on shore. I believe if I was there it would have been an issue and he wouldn’t have wanted to go. It gave us a bit of separation and one of the best times afterwards for completing this trek. As a scout leader I am proud of him. As a Dad, I am saddened that I wasn’t there to see him go down the river…. My son had an easier time with this than I did. If you are an adult scouter that goes on all outings then you may try skipping a couple outings. This gives the scout a chance to rely on themselves and get used to you not being around. I did not go to Philmont with my son so I would not influence his experience. It was the right decision but it was bittersweet when he jumped off the bus all excited and telling me he wished I could have been there. Another technique is to make sure the adult patrol is placed away from the scout patrols and in a spot that the boys won’t be walking through unless the need to see an adult. Very good post and is very true. It took me a few outings and meetings to understand this. Though I do not always separate the two as I should, it has gotten much better and I thinks my son and I are better for it. During our past summer camp we would meet mid-morning each day for an ice cream sandwich and discuss his previous and upcoming events of the day and then go our own ways. It was good quality time that I would never trade. I hope to continue to make the outings more enriching for the two of us. Your duty as a parent is to make your kids self sufficient (and quality citizens) so they can make it on their own in world. There is no better program out there than BSA to aid a parent in that endeavor. (Sadly the Girl Scouts program is sorely lacking in this regard). The transition from Webelos to Boy Scouts is at just the right age to start the process of converting parent responsibilities over to personal responsibilities (starting small with packing your own pack (clothes, utensils, etc), remembering to bring dues, checking the weather report before a trip, having your 10 essentials, etc). 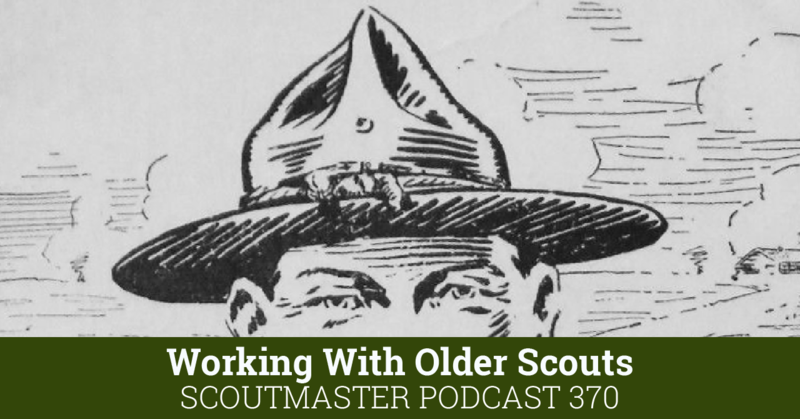 So it is incumbent upon the more experienced Scouters to help the newer dads break old habits and wear their Scouter hats instead of their parent hats. Some Troops do that better than others, and dads usually find it easier to do than moms. The one thing I would add to your article is the Scoutmaster/Son relationship is unique in all the Troop and has some added complexities. The scout has to share his dad with a lot of other boys, which can be an issue if the boy is insecure. And the dad is under higher pressure (internally or externally induced) to show no favoritism, so he is under some pressure not to swap the Scouter for the parent hat too quickly. This can cause some stress when the boy feels he is in need of a father and not a Scoutmaster. Fortunately, the Boy Scout program, if run correctly, does nothing but build boys’ self esteem through achievement and all these little touchy/feely/whiny issues should become moot by they time they make Eagle. A wise Scouter once taught me a practice we then instituted in our troop. He said a parent should not deal with Scouting program issues with our own sons within the troop. If I learned my son was having a problem, I’d quitely ask another Scouter to check in and help him. They always approached it like a caring Scouter helping a Scout. That way, I had the freedom to respond consistently as a dad, instead of a Scout leader. 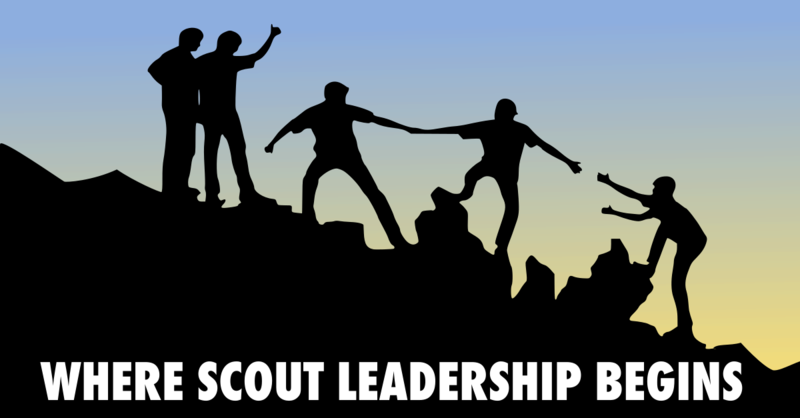 It also turned out that other leaders got better results with my son’s Scouting problems and I returned the favor by being there for their sons. This had a long lasting positive effect – even beyond Scouting, and made us a team less vulnerable to the parent son emotions that sometimes create extra stress. I’ve been fortunate as a Scouter to spend a lot of serious quality time with my son in Scouting. Thanks to Scouting more than me, he’s turning into a pretty high quality young man. But it has taken both us realizing that we each have two roles when we “do Scout stuff”, father and Scoutmaster, son and Scout. Wouldn’t trade the memories for a big pile of money though.